Hatteras Island has changed a lot in the four decades since the Bonner Bridge was built over Oregon Inlet to connect the island with the northern Outer Banks. In that time, visitation has steadily increased so that the island economy is now almost entirely centered on tourism dollars. But the most dramatic changes on Cape Hatteras have really occurred in the last eight or so years, as developers and stock-market-burnouts-turned-real-estate-investors have scooped up the last remaining island properties and built thousands of new, luxury rental homes, luring more tourists who in turn require more amenities like shopping centers, restaurants and things to do. 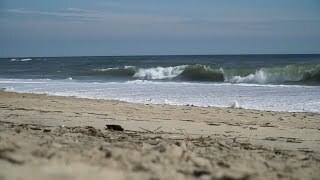 Yet the Hatteras villages haven’t seen nearly the development of the northern Outer Banks resort towns of Nags Head, Kill Devil Hills, Duck and Corolla. When Hatteras Islanders find themselves complaining about the development on their own island, they often end the conversation by saying “at least we aren’t like the northern beaches,” with a great sigh of relief. Some of the island natives and longtime residents and visitors are upset about the rapid changes on Cape Hatteras, but many locals welcome progress and the increased opportunity it brings. After all, tourism allows many people to live and work in this place that they love. Many of the current Hatteras Island residents vacationed here first then fulfilled a dream to move to the island when work became available. This was easier to do 10 years ago, however. Since then, real estate prices have skyrocketed. But, of course, real estate prices are down now and it’s a buyers market on Hatteras Island. And the development on Hatteras Island can only go so far. Sixty-three percent of the island is federal park that will never be developed, while another 14 percent belongs to the state and another 11 percent is wetlands. This leaves only 12 percent of the island open to private ownership and development. The permanent, year-round population of Hatteras Island is around 4,000. The island residents are independent yet tight-knit, eager to help each out in the face of hurricanes and other hardships. There are two schools on the island – Cape Hatteras Elementary and Cape Hatteras Secondary (middle and high school combined). Both schools are in Buxton and draw students from all seven of the island villages. For outsiders and visitors, Hatteras Island will always be a heavenly retreat far removed from the rest of the world. Visitors welcome the chance to enjoy this long, thin island that offers access to sea and sound, and more than three million of them visit Cape Hatteras National Seashore every year. The seven island villages maintain their quaintness and charm, thanks to Cape Hatteras National Seashore, which contributes greatly to the Hatteras’s appeal. Cape Hatteras visitors love the casual and laid-back style of the island. In the sun and the sand, in bathing suits and flip-flops, everyone is equal. The time of high tide matters, what one is wearing does not. Which direction the wind is going to blow tomorrow matters, how much money one makes does not. On Hatteras Island, residents and visitors live a stripped-down existence, in tune with the elements and the natural world, not the material world. Hatteras Island visitors love the great outdoors. Those who are happiest here are those who love being close to nature. Anglers, windsurfers, kiteboarders, surfers, paddlers, swimmers, birders, beachcombers — these are the people who appreciate Hatteras Island the most. Hatteras Island vacationers love being outside all day then settling down for a great North Carolina seafood dinner at night. They love the fact that nightlife consists of an acoustic band at the local restaurant, a moonlit walk on the beach or going to bed early. Visitors love the fact that there are only three stoplights on the entire island and that the main traffic artery is a two-lane road with many ocean and sound views. They love the locally owned businesses and the lack of homogenous superstores and chain restaurants. They love the locals, who are friendly and helpful as long as people are friendly and respectful to them. In summer the villages swell to capacity, and there is a sense of excitement in the air. Locals stay busy — teaching kiteboarding lessons, leading kayak tours, waiting tables, cleaning rental cottages, booking hotel rooms, cutting fish down at the docks, answering questions about the lighthouse, giving directions. Many islanders do double duty in the summer, taking on more than one job to build a stockpile of money for the winter, when things slow down. The restaurants and shops are full and the grocery store lines are a nightmare. But it’s all part of the fun of summer. Many people say fall is the best time of year to visit Hatteras Island because the crowds are gone, the weather is still warm, all the businesses are open and accommodations prices drop. Anglers typically prefer fall to summer as fishing is far better in the autumn months. Winter is pretty quiet on Hatteras Island, but you’d be surprised how many accommodations and businesses are still open to serve locals and tourists. In the spring, visitors start to trickle back in. Businesses that have been closed all winter offer good deals to visitors who come early in the season. You can get to Hatteras Island by car, boat or small plane. The vast majority of visitors arrive by car from the north on N.C. Highway 12. Other car travelers arrive on the ferry from the southwest via Ocracoke Island. Some people arrive at Hatteras Island by boat from the mainland, the Intracoastal Waterway or the Atlantic Ocean. Marinas are available to boaters in Hatteras Village, at the southern end of the island by Hatteras Inlet. Flying to Hatteras Island is possible. Small planes can land at the National Park Service’s Billy Mitchell Airfield in Frisco. Once you get to the island, you will almost certainly need your own form of transportation. There is no public transportation on the island, and the villages are separated by long stretches of Cape Hatteras National Seashore. If you want to get from village to village you’ll need a car. A bicycle is fine for getting around in the individual villages, though bicycling between the villages is not highly recommended because of the lack of a bike lane and the high speed of traffic. On the north end of the island, about 12 miles from Oregon Inlet, are the three villages of Rodanthe, Waves and Salvo, which are all lumped together and feel more like one village than three. These are the simplest and most laid-back of the seven villages, though all the amenities anyone could need are there. Several miles south is the village of Avon, which feels like the commercial hub of the island because it has a major grocery store, movie theater, lots of stores and services, and numerous luxury rental homes. South of Avon is the village of Buxton, home of the Cape Hatteras Lighthouse, the prime surf-fishing grounds of the cape and the most hotels on the island. South of Buxton is Frisco, a very small, quiet village with lots of rental homes and a few shops and restaurants. Hatteras Village, on the south end of the island, leads a dual life now – partly a historic fishing village and partly an upscale vacation resort. Those looking for the most watersports opportunities should stay in Rodanthe, Waves, Salvo or Avon. Those looking for the most peace and quiet should stay in Frisco, Waves or Salvo. Those who like to have a lot of restaurants and shops nearby should stay in Avon or Buxton. Serious anglers like staying in Hatteras Village, where all the marinas and offshore fishing boats are located. If you’re ready to start enjoying all that Hatteras Island has to offer, read on. The pages that follow are filled with all the hotels and motels, campgrounds, vacation rental companies, shops, restaurants, attractions and recreational opportunities on Hatteras Island. We have organized the businesses in this guide geographically from north to south, starting in Rodanthe and ending in Hatteras Village. Enjoy your stay!